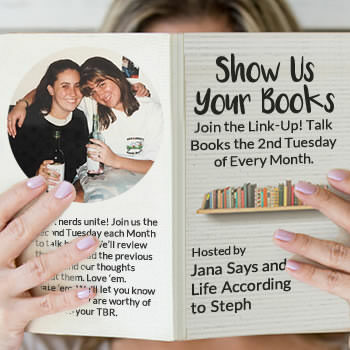 Who is pumped for another year of great books and talking about them once a month with this awesome self-made reading community of Show Us Your Books people? This girl. The Lauras by Sara Taylor - I flew through this book. It was like sinking into something foreign but delicious. There were a lot of dots not connected for me - a lot of why was this included and why wasn't this - but I loved it anyway. Free copy from netgalley for an honest review. Definitely have I Let You Go on my list.. that sounds so good. Ugly and Wonderful sounds intriguing. I like a dysfunctional family book to remind me that mine wasn't all that crazy. Just a little crazy. I read All the Ugly and Wonderful things this month too and really liked it for the same reasons you mentioned. I really need to read I Let You Go soon! show us your books on valentines day!!!! HOW EXCITING. not that i even care about v-day lol. so glad you liked i let you go. i really had to stop and say now wait just a minute! when i was reading it lol. all the ugly and wonderful things is on my list, so good to hear you liked it too. haha i read burn baby burn as well, poor MFD and his hands. I saw Born to Run and got all excited (because I have a book by the same name on my "game-changers" shelf) and then confused when you mentioned crying because it's not a sad book at all. Lol! My "Born to Run" is by Christopher McDougall and is literally about running. Americanah is on my to-read list. And hooray for no "not worth it"s! I actually didn't have any 1 or 2 stars either. I'm going to put All the Ugly and Wonderful Things on my want to read list. I don't know why but reading about kids/families that are way more effed up than mine is slightly comforting but also eye opening. It certainly makes me more appreciative of my own. I enjoyed All the Ugly and Wonderful Things, but yes a disturbing read. I Let You Go has been on my to read list. I enjoyed You Will Know Me as well. You had a good reading month with no Not Worth Its! All the Ugly and Wonderful Things is already on TBR list, and I have I Let You Go on my list for Erin's book challenge, so I can't wait to crack it open after your review!And I'm always looking for a good thriller, so I'm adding All The Pretty Girls, Rosarito Beach, and You Will Know Me to my list. I'm a huge SVU and Criminal Minds fan, so thrillers and crime books are generally books that I tend to gravitate towards. Just added I Let You Go to my TBR mountain! It definitely looks like my kinda read. I'm heading right now to add I Let you Go to my list. Burn Baby Burn is on my TBR. I enjoyed Americaneh, but can see your point about nonfiction. That one was an audiobook for me, so that may have helped. I haven't heard of The Lauras before but it sounds interesting and different-- just added it. I don't know why I've never had I Let You Go on my list, but I finally added that one too! Hmmm. The Lauras sounds interesting. I don't read much thriller, but it sounds like you had some good ones this past month! 500 pages about one's life is A LOT but I'm glad it didn't disappoint you. I already have I Let You Go on my list and added All the Ugly and Wonderful things. No participation from me today since I've only finished one book since I last wrote about books. It was Animal Dreams, btw, which I didn't love outright but was so beautifully written and really made me think. It seems like one of those stories with themes I'll still be ruminating on for a while so it may become one I recommend, in time. I've never heard of those books before! I'm passing on the Abbott book because it just hits too close to home. But the Bryn Greenwood book, I keep seeing it EVERYWHERE so I'll have to get on that train (now that I actually looked it up and know what it's about. Definitely my kind of book). I've had I Let You Go on my list for a while but I may have to move it up. I have All the Ugly and Wonderful Things on my list and you made me want to read it ASAP! How do you read so many books?!? :) I'm lucky to read 4 a month. I say this after I just vowed to not worry about numbers this year. I'm currently reading Homegoing after reading many positive reviews. Burn Baby Burn was on my TBR but I took it off. I'm not quite sure why I put it on there in the the first place. I do love anything set in NYC. Is it set in current times or the past? I have not read any of these, so thanks for all the new recommendations. I'm glad there were no Not Worth It books this past month. I only had one, so not too bad! I have not read any of these books but I just added All The Ugly & Wonderful Things to my list! I made a post this morning and totally forgot to link back! My sister's father in law is mentioned on the first page of Bruce Springsteen's book. How cool! I'm reading A Wedding in December by Anita Shreve. I love her books and this one is not disappointing. I'm ready to get back into my reading routine. I hardly read at all over the holidays and I missed it. I'm on the (giant) list for I Let You Go at the library and I'm so excited! I Let You Go has been on my TBR for a while, but thrillers aren't my first pick, so it will probably live there for a while. I love your lists because there are always so many books I've never heard of. The Lauras sounds perfect for me. Thanks! All the Ugly and Wonderful things sounds interesting, I will have to keep an eye out for that. I Let You Go is the only one I've heard of! And it's been on my wishlist for awhile now. All the Ugly and Wonderful Things sounds really good! Adding that one to my list. Many of these are on my tbr already (or I've read), but The Lauras is new to me. Sounds really interesting. Added. Thank you for hosting! 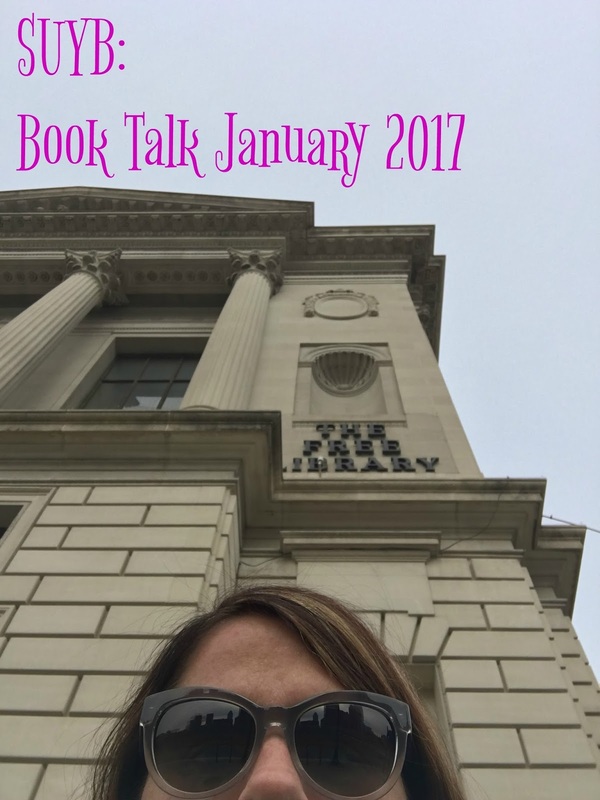 I love the list of books- definitely adding to my list! I had a work trip this week and missed the linkup grrrrr, I finished my book at 9pm this tuesday HAHA! I am ready for next month though ;) didn't know bruce had a book, my mom is a huge fan so I'll have to pick that up for her. I have owned I let you go for so long now and haven't read it. I just started sweetbitter, but I let you go is next.